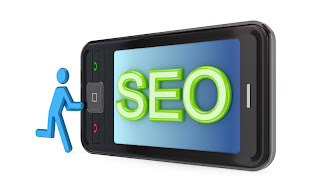 Mobile SEO the next upcoming entity in the field of marketing and SEO organizations cannot afford to disregard this factor. Mobile internet growing at a fast rate, that mobile Internet usage is in fact expected to overtake the desktop internet usage within the next few years. Size of the webpage:- Of course you cannot present the desktop version of your website on a mobile phone; you need to create a mobile version which fits to mobile phone’s screen accordingly. Suitable media files:- Media like images, videos should be appropriate to mobile devices, a large image which is suitable for desktop PC wouldn't be suitable for a mobile device because it will take time to load, this leads to a bad user experience. Version swap and Link to home page:- Website should give an option to swap between desktop version and mobile version so user also can visit the full version of your website on a mobile device, also every page of website should have a link to home page, and this makes it easy for a user to navigate to the page he/she started from. Contact option:- Every webpage should have an option to ‘contact us’ so users call or send an email to your business easily by just one touch. Social media links:- Most of the time users tend to use internet on mobile phone to access social media websites, so it is better to provide social sharing links on most of the interesting web pages, so users can share the content. Thanks so much for sharing this. I recently started my own business and I have been searching for the best SEO company to market my website and put my company out there online. In a dominant digital age, I think I am making a good choice here.